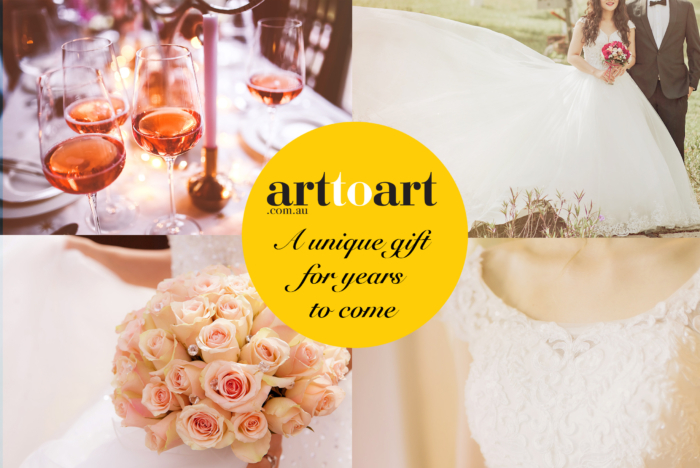 Art to Art offers a wedding gift registry to help you co-ordinate a unique gift that will be admired for years to come. Instead of predictable wedding gifts, give the newlyweds, or engaged couple something they can experience together. Give them a personalised Wedding Gift Voucher as a group so they will always remember their special occasion through art. Life should be celebrated and a wedding is the start of a new life together. Don't leave it to chance, help steer people to your ultimate Wedding Gift with our Wedding Registry. Create a Wishlist and gather artworks you like. Email your Wishlist to your bridal party and they can take care of the rest. The surprise might be which one they decide to buy you from your Wishlist! Consider Art as a gift. It’s unique, long lasting, inspiring and memorable. And if you are feeling like you couldn’t choose the right artwork, a gift voucher is perfect as it allows them to choose it themselves so you’ll know they honestly and truly love it.